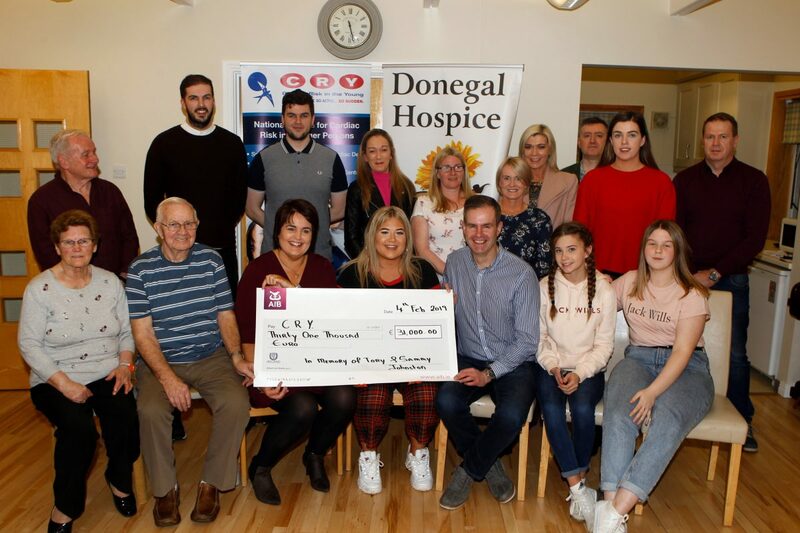 A local family has raised over €67,000 in memory of a much-loved dad and daughter. 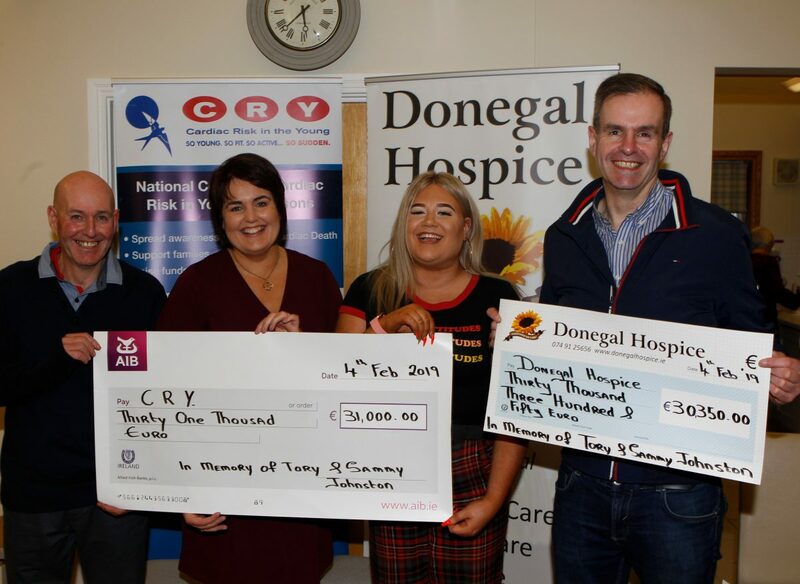 Tory Johnston was 17-years-old when she passed away in 2015. 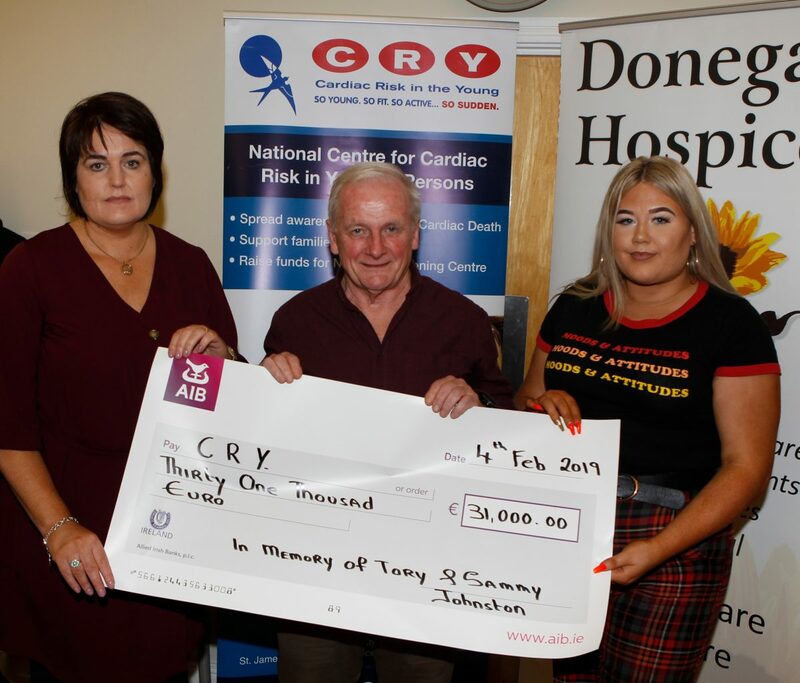 Her father, the late Sammy Johnston, passed away in August 2017 at the age of 46. 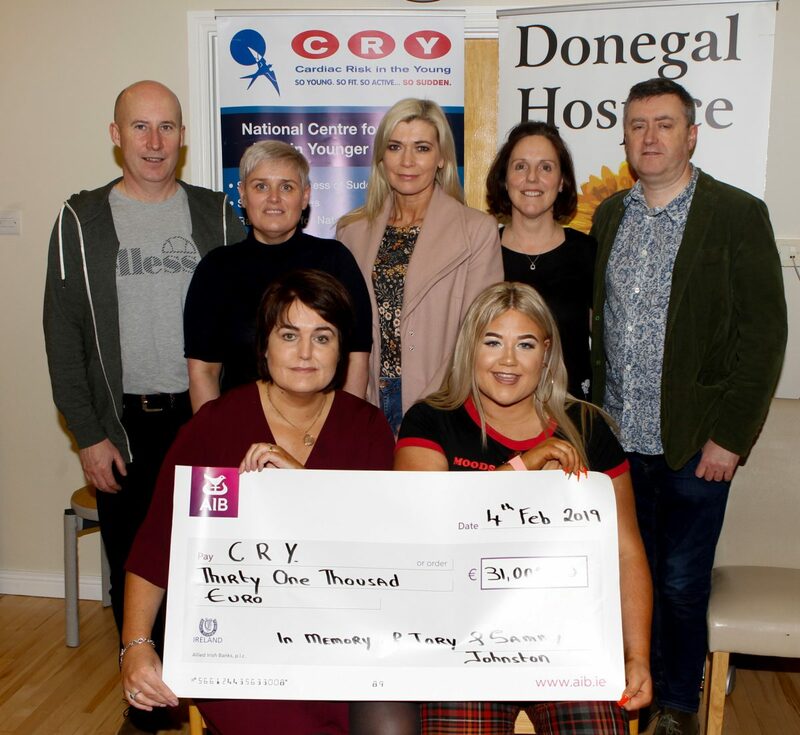 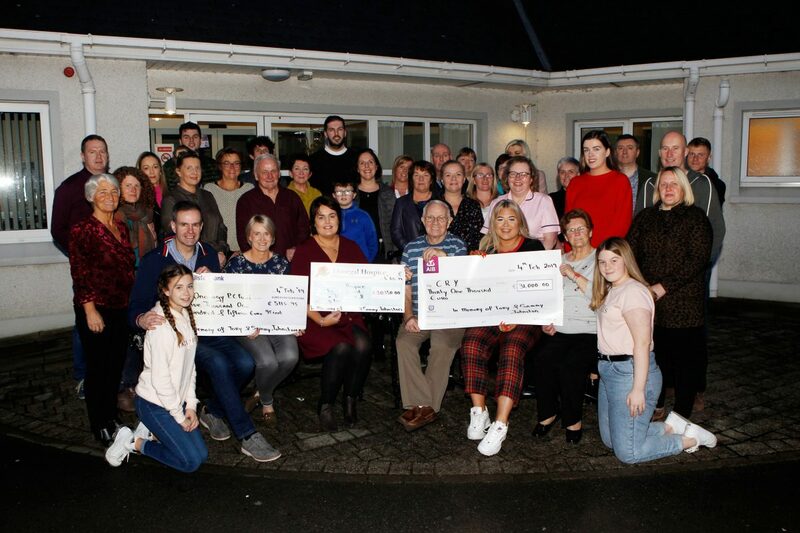 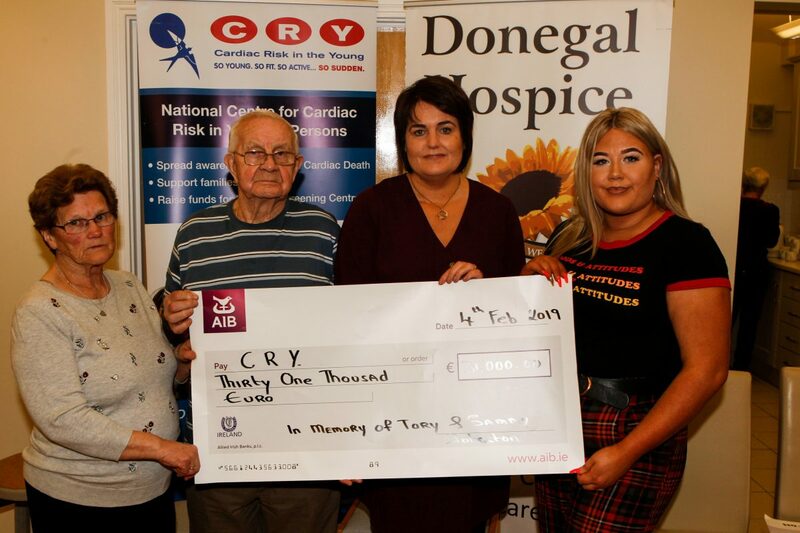 A glamorous charity night was held in the Silver Tassie Hotel last October in memory of Tory and Sammy, with the proceeds totalling an incredible €67,000. 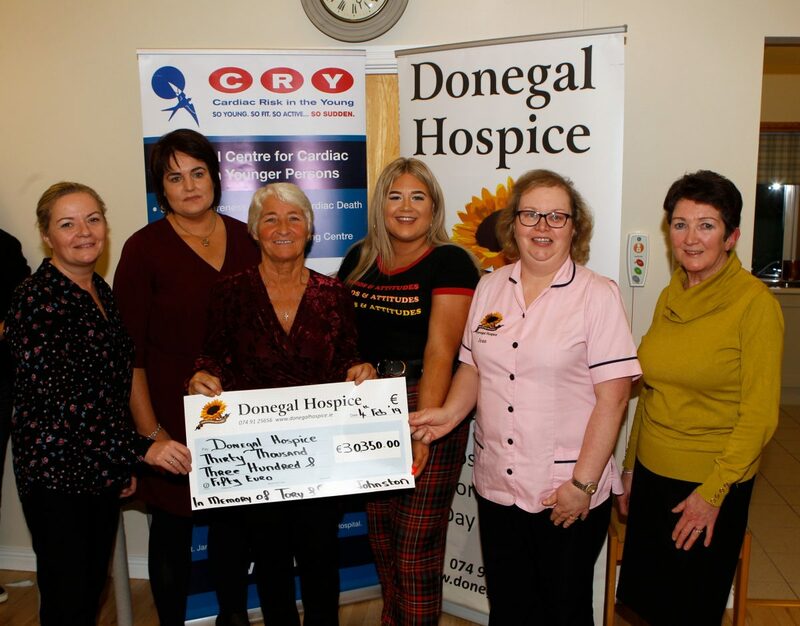 The three charities to benefit were CRY, Donegal Hospice and Oncology Patient Comfort Fund. 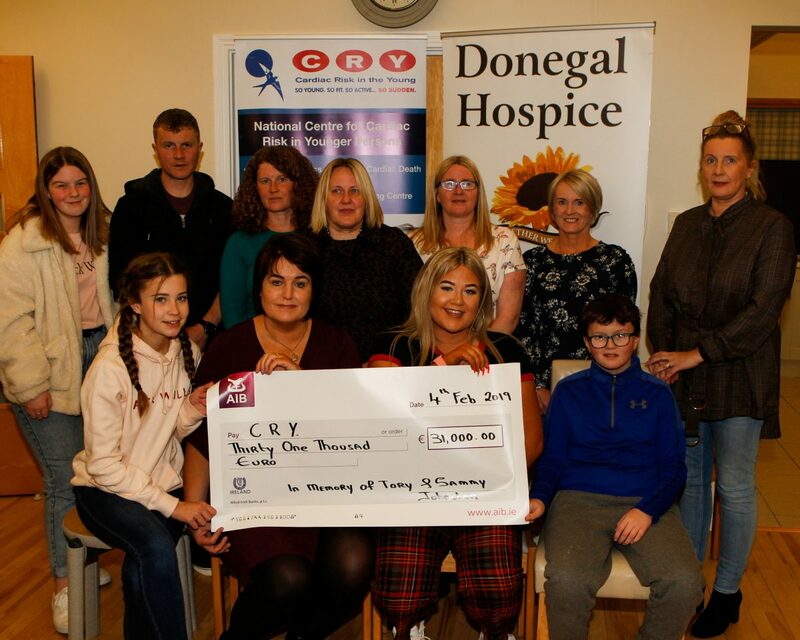 Helen, Amy and their extended family recently presented the cheques to the three charities.